The Plant-Based Pharmacist's Blog: What's The Best Plant-Based Diet? What's The Best Plant-Based Diet? Your health depends heavily on your lifestyle and, more importantly, the foods you choose to include in your lifestyle. Over the past few years there has been a popular and growing movement to transition towards a plant-based diet in order to achieve better health and trimmer waistlines. The science and evidence is certainly there to support this move towards a plant-centered diet, not only in terms of health, but also in terms of benefiting the environment and the welfare of all living beings on the planet. Along with these many benefits comes many choices. There's at least a dozen or more different plant-based diets to follow so which one is the best? Which provides the greatest benefit to you? We'll get to these questions soon, but first let's take a look at just a few of the popular plant-based diets out there to give you a sense of what's available. I focus on keeping things simple and including all of your calories from these five food groups. The amounts of each food group and tips on how to adopt this health-promoting diet can all be found here. This approach is very simple to follow and resembles the USDA's MyPlate program, albeit a much healthier version. PCRM focuses on incorporating only whole, plant-based foods while eliminating all animal-based foods in their plan. Dr. McDougall's starch-based diet acts to satisfy your hunger needs while sticking to starchy vegetables and whole grains which have served as "staple foods in the diets of all successful, trim, and healthy populations throughout history" as he often cites. Dr. Fuhrman has developed the acronym G-BOMBS to emphasize (G)reens, (B)eans, (O)nions, (M)ushrooms, (B)erries, and (S)eeds as staples to his diet. 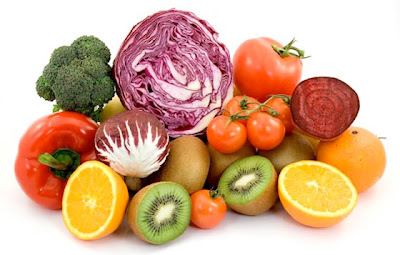 The term "Nutritirian" implies the diet's focus on the micronutrient content of foods. What's The Best Plant-Based Diet For You? So, with all these choices which is the best plant-based diet for you? That's easy! The best plant-based diet for you is the one you will follow for the rest of your life. After all, if you don't enjoy what you're eating then chances are you're not going to eat that way for the rest of your life. If your goal is to achieve optimal health it's best to stick with whole foods. As a general rule, the more whole, plant-based foods (fruits, vegetables, legumes, whole grains, nuts/seeds) you include in your diet the better your overall health will be. Animal-based (meat, dairy, and eggs) and processed (vegetable oils and packaged/refined goods) foods have been shown to promote disease and should be avoided if you want to prevent and/or reverse chronic diseases. A diet rich in color from an array of plant-based foods which also satisfies your taste buds is sure to give you everything you need to achieve a healthy body. To be on the safe side include a daily vitamin B12 supplement in your regimen. This is the only vitamin and/or mineral which may be lacking in a plant-based diet. Finding a plant-based diet that works for you is a lot of fun and full of opportunities to reignite your love for food. You simply can't go wrong by giving it a shot. Your body and your health will thank you several times over by doing so. My goal 2 be a totally Vegan but, on 08/03/12 I got the results from my doctor, that I must not eat "SOYBEAN, CASEIN/COW MILK & EGG/(YORK OR WHITE). I drink only almond milk but, most of my food I eat contains soybean/soy & milk. Plus, I have "COLD URTICARIA" since, 1986 & "CARPAL TUNNEL SYNDROME" but, will not do surgery. PLEASE,HELP! What do U advise? Yet, I'm not too bad off 4 going on 60yrs. old, living with mostly daily pains & numbness from my CTS & love to workout, when my hands, r well!But, after read this, I've realized that I'm really interested in being a "PLANT-BASE" NOT A VEGAN! Yet, "eggs,coffee with cream, pepsi w/lemon & cheese" r my favorite urger foods that I cheat with. Please,Help! I emailed Dr.OZ & asked 4 his help 2. I outline what to eat on my nutritional page with sample meal plans and recipes. Feel free to explore more here - http://www.pursueahealthyyou.com/nutrition. Also, Dr. McDougall has an easy to follow 12 day plan for free here - http://www.drmcdougall.com/free.html.